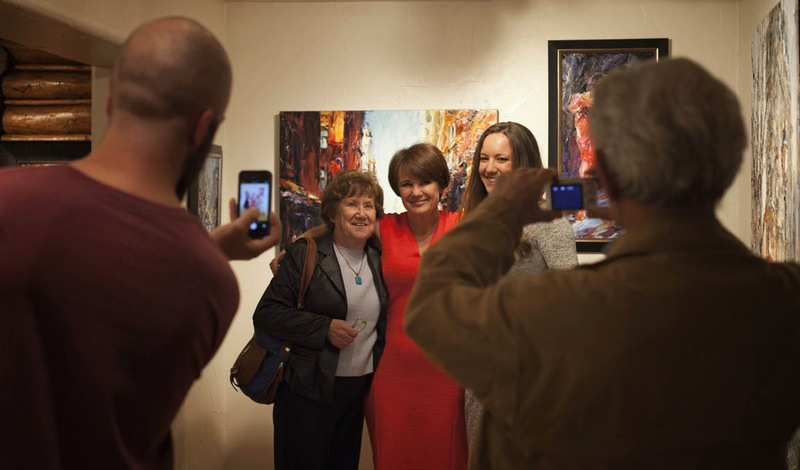 Lyudmila Agrich poses with her mother and daughter during the opening reception of her exhibition 'living LIGHT' at Mirada Fine Art. 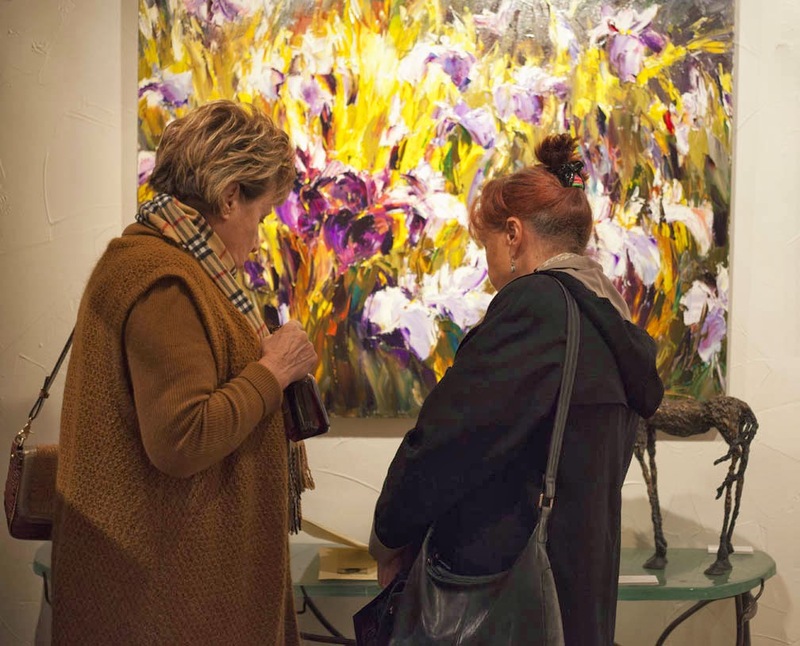 We had a truly amazing opening reception for Lyudmila Agrich's 'living LIGHT' exhibition on Friday night, March 28th at Mirada Fine Art. Fascinated by the play of light, Lyudmila's newest body of work explores the tremendous role light plays on our physical and emotional state. 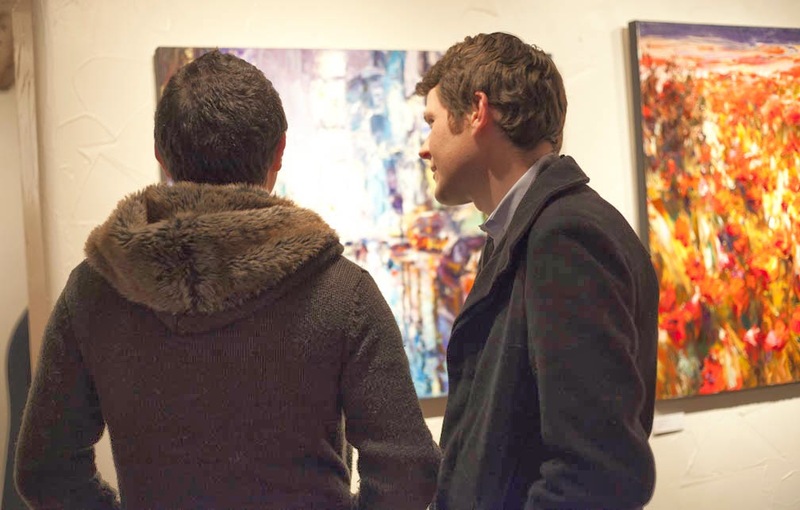 The superb glow of the pieces in this exhibition eloquently express how all types of light can alter our perceptions. 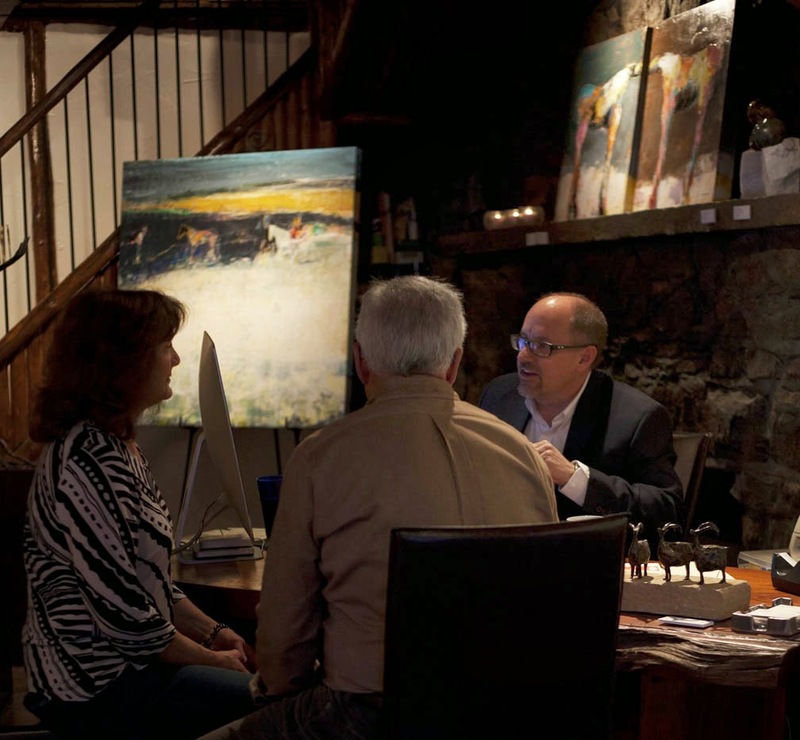 If you weren't able to make the opening, you can still see this remarkable exhibition. 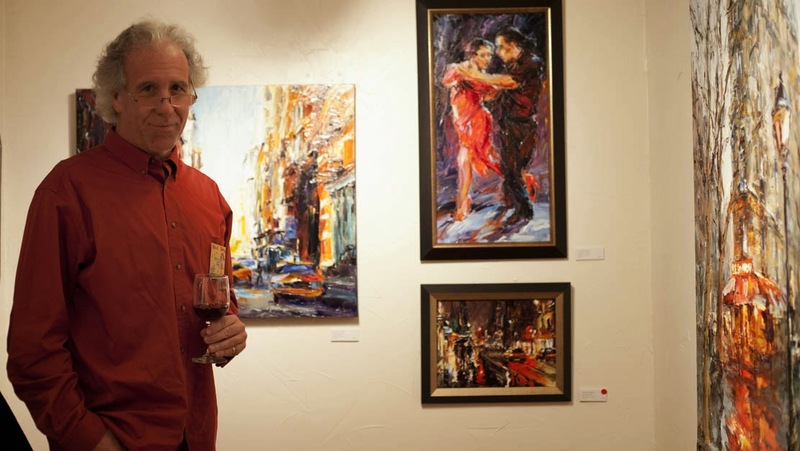 It will be on display at Mirada Fine Art through April 20th. 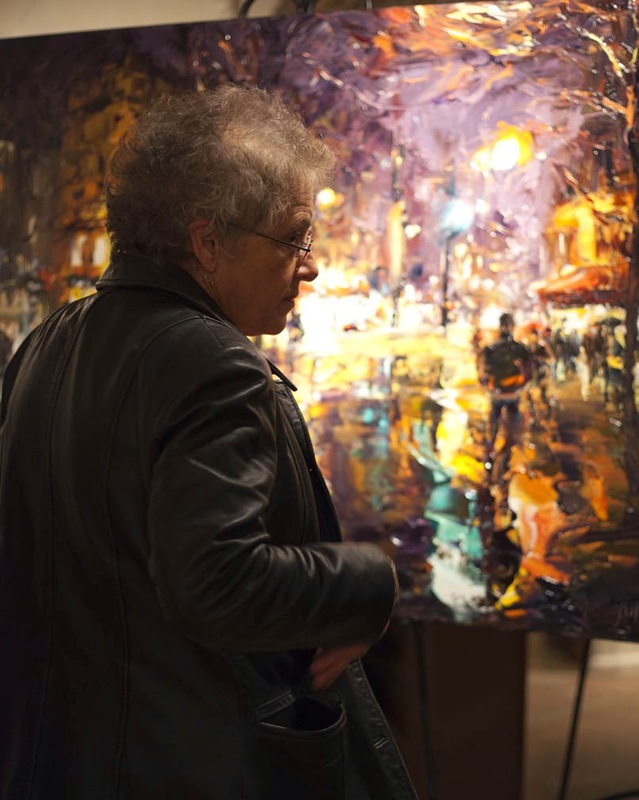 Lyudmila Agrich's 'living LIGHT' exhibition at Mirada Fine Art. 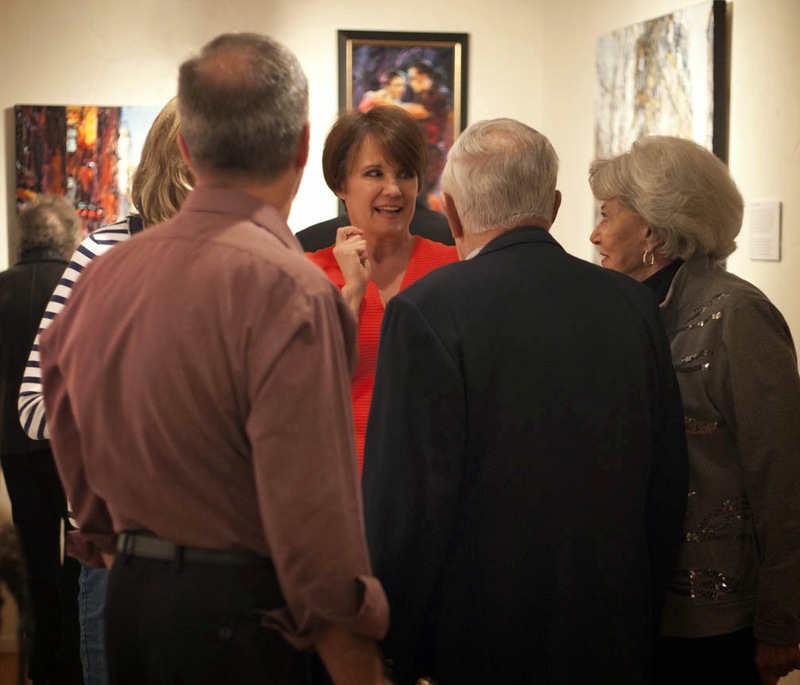 Lyudmila Agrich discusses her artwork at Mirada Fine Art during the opening reception for her 'living LIGHT' exhibition. 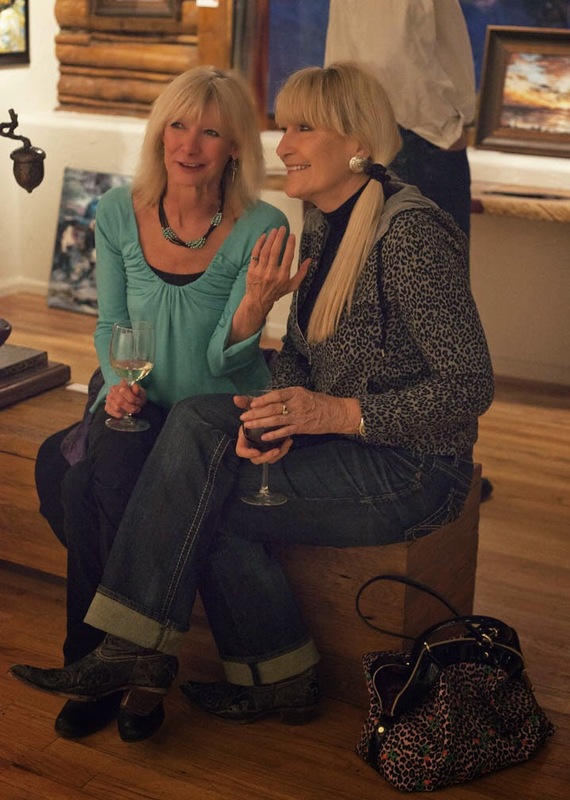 Artist Lyudmila Agrich and Mirada Fine Art owner Steve Sonnen enjoy a moment with a collector of her artwork. 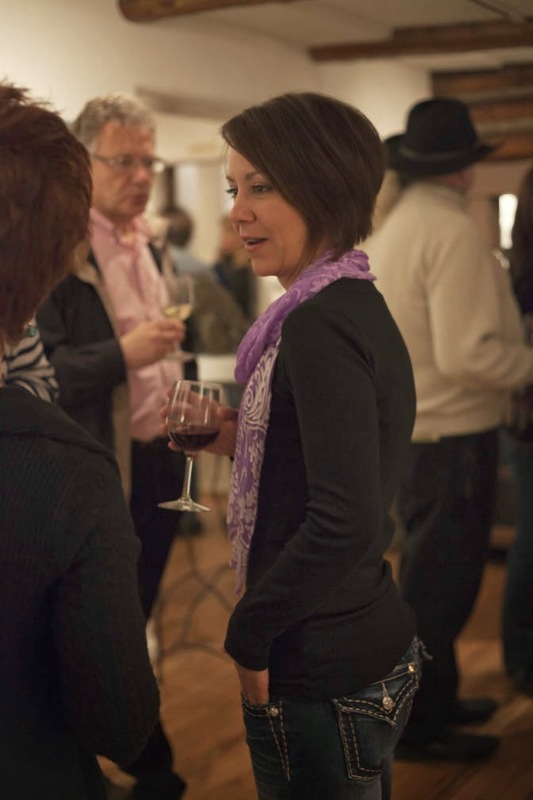 Enjoying the opening reception of Lyudmila Agrich's 'living LIGHT' exhibition at Mirada Fine Art. 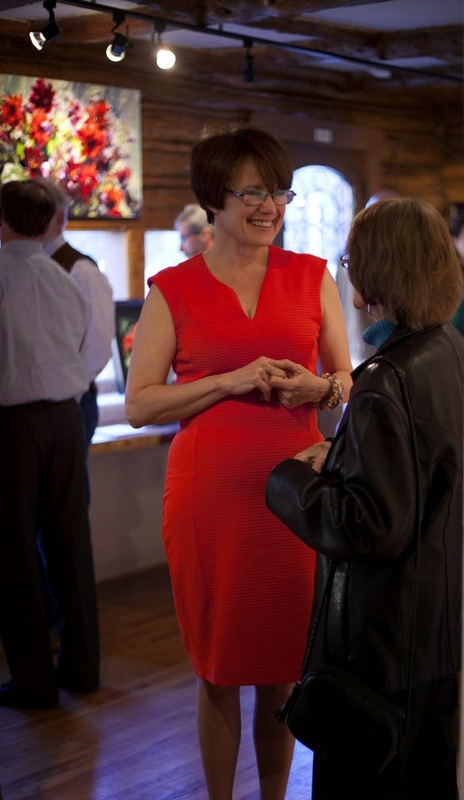 Artist Lyudmila Agrich discusses her work at the opening reception of her 'living LIGHT' exhibition at Mirada Fine Art. 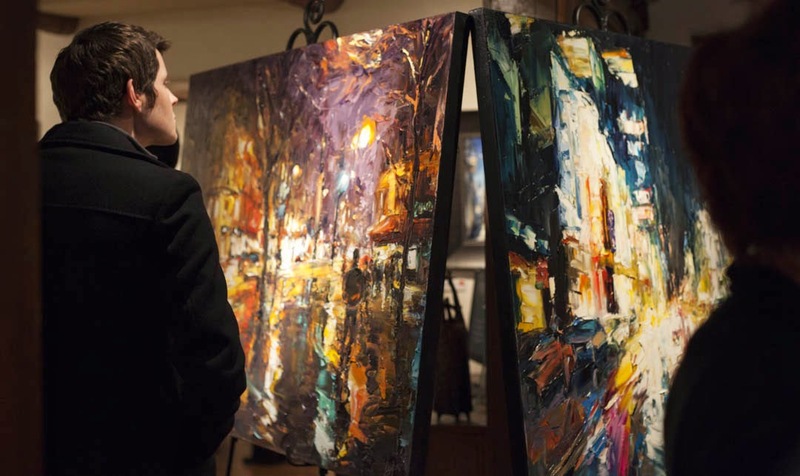 Savoring the remarkable palette knife artwork of Lyudmila Agrich at her 'living LIGHT' exhibition at Mirada Fine Art. 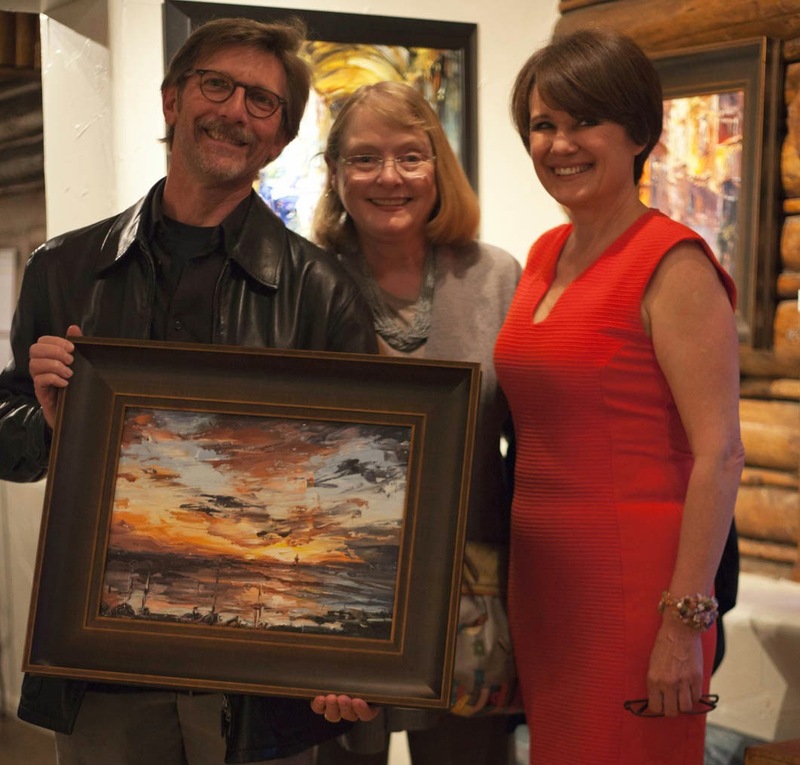 The proud owners of a beautiful new painting by Lyudmila Agrich at Mirada Fine Art. 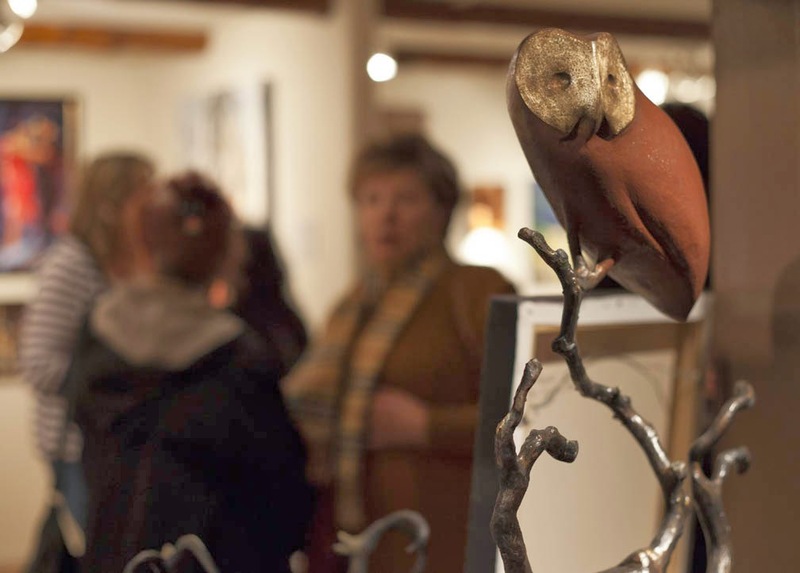 A wonderful sculpture by Michael McLaughlin watches on as patrons of Mirada Fine Art enjoy Lyudmila Agrich's 'living LIGHT' exhibition. 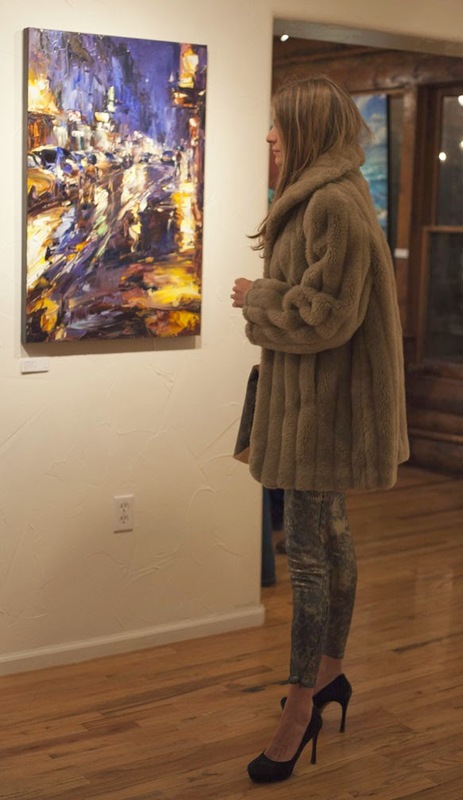 Taking in the remarkable artwork of Lyudmila Agrich on Opening Night of her 'living LIGHT' exhibition at Mirada Fine Art. 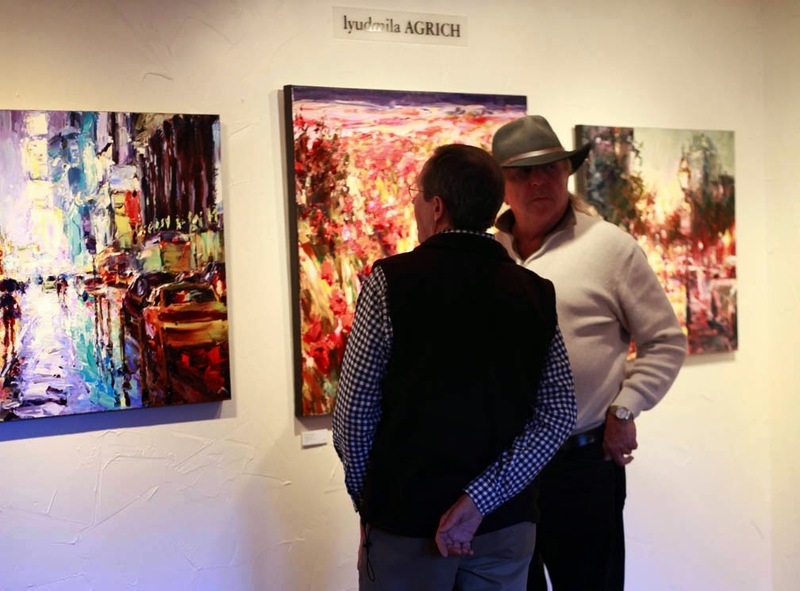 Enjoying the remarkable artwork of Lyudmila Agrich at Mirada Fine Art. 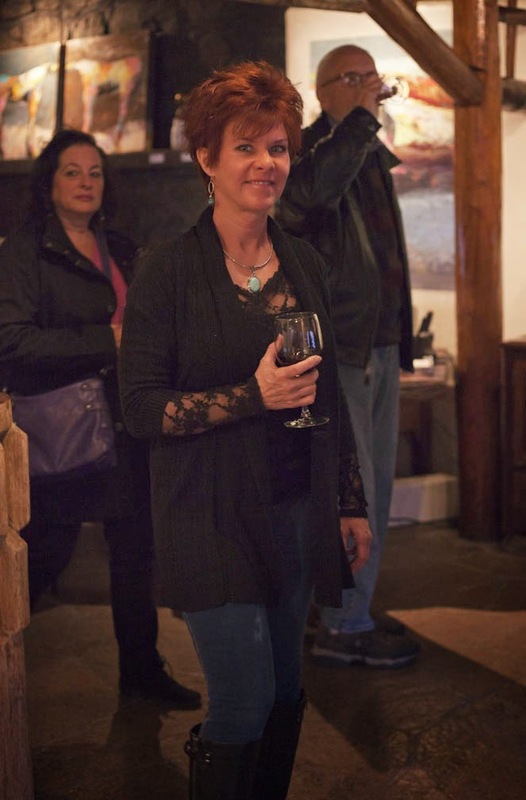 Josiane Childer's artwork being admired at Mirada Fine Art. 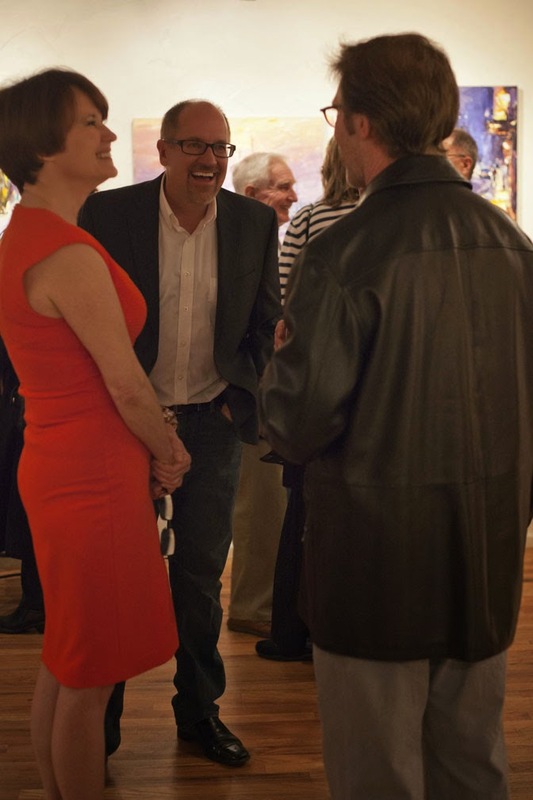 Enjoying a moment during the opening reception of Lyudmila Agrich's 'living LIGHT' exhibition at Mirada Fine Art. 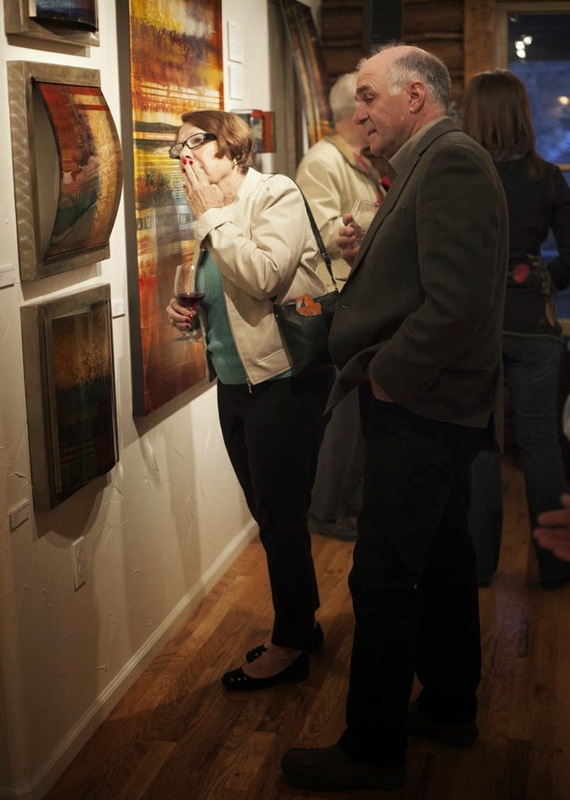 Two admirers of Lyudmila Agrich's artwork sit and enjoy the 'living LIGHT' exhibition at Mirada Fine Art. 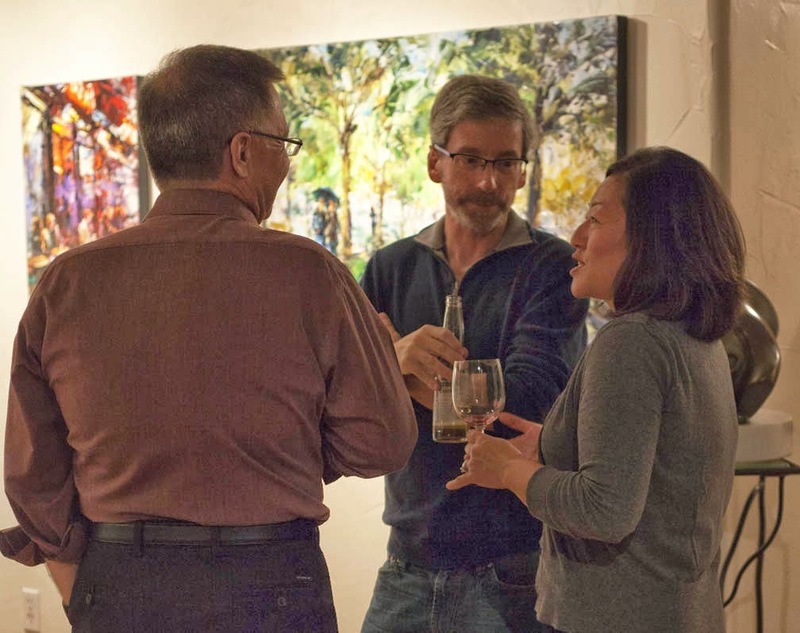 Mirada Fine Art owner Steve Sonnen with the proud owners of a new Lyudmila Agrich painting during the opening reception of Lyudmila's 'living LIGHT' exhibition. 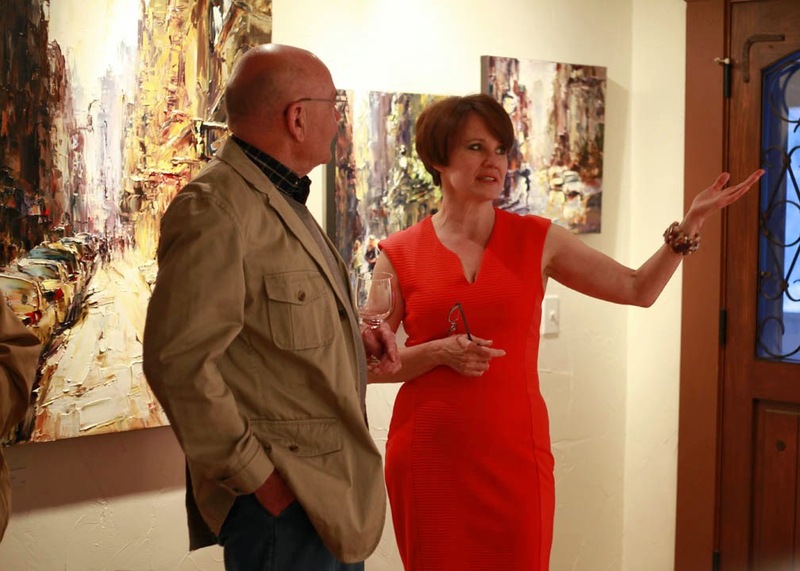 Lyudmila Agrich talks about her artwork at the opening reception of her 'living LIGHT' exhibition at Mirada Fine Art. 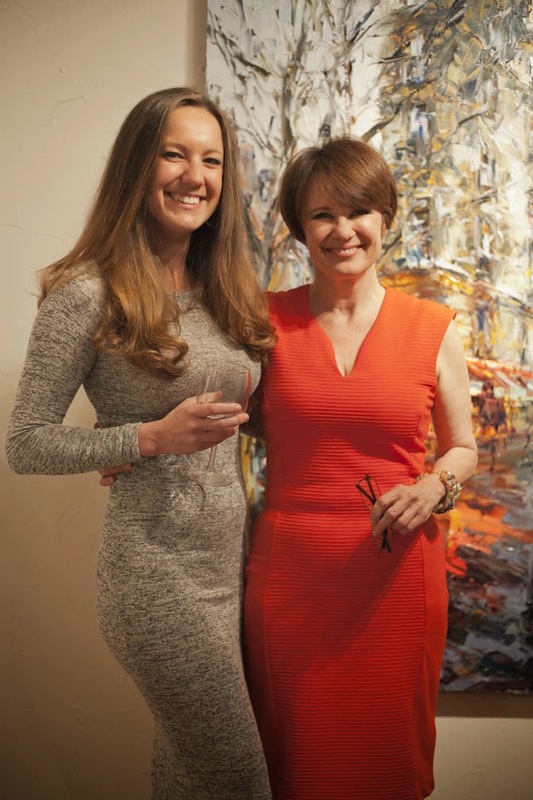 Artist Lyudmila Agrich enjoys a moment with her daughter during the opeing reception of her 'living LIGHT' exhibition at Mirada Fine Art.